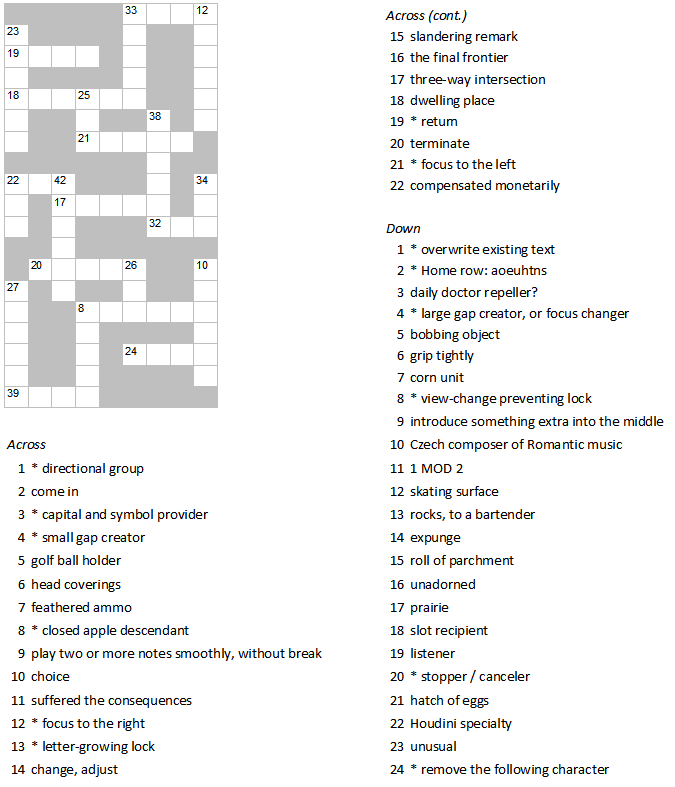 The crossword below is special. Each answer has two clues. Your goal is to find two clues that have the same answer. Then add up their numbers, and place the answer in the appropriate box in the diagram. For example, if the clue for 7-across is "view above (2 words)" and the clue for 21-across is "consult the textbook (2 words)", the answer for both clues would be LOOKUP. Since 7+21=28, you would fill in LOOKUP in the diagram in 28-across. In addition, each clue that begins with * pertains to keyboards.